Starring Emmy, Screen Actors Guild® and Golden Globe winner Claire Danes and Emmy and Tony® winner Mandy Patinkin, the cast of series regulars also includes returning actors Elizabeth Marvel, Linus Roache, Maury Sterling and Jake Weber, and joining the cast this season is acclaimed actor Morgan Spector (Boardwalk Empire). The network’s No. 1 drama series, HOMELAND is currently filming in Richmond, Virginia. To watch and share the teaser for season seven of HOMELAND, please visit: https://youtu.be/I-K0Wbe9n4Y. At the end of last season, following an assassination attempt on her life, President Keane (Marvel) broke her promise to Carrie (Danes) by arresting 200 members of the intelligence community – including Saul Berenson (Patinkin) – without bringing charges against them. As season seven begins, Carrie has left her job in the White House but is living with her sister Maggie (Amy Hargreaves) in D.C. to take on the Keane administration and secure the release of the 200. 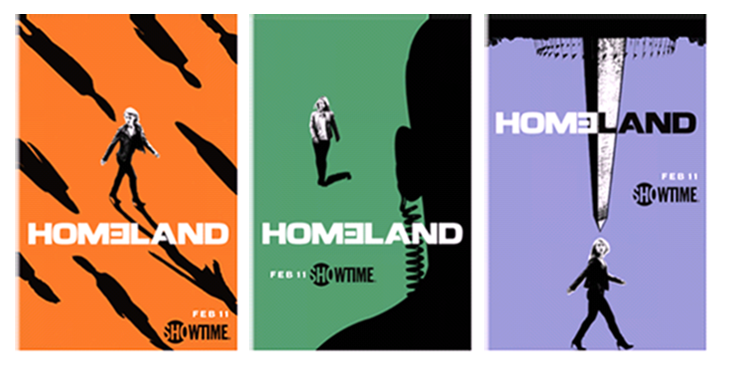 Produced by Fox 21 Television Studios for SHOWTIME, HOMELAND was developed for American television by Alex Gansa and Howard Gordon, and is based on the original Israeli series Prisoners of War by Gideon Raff. Along with Gansa and Gordon, the executive producers for season seven will be Chip Johannessen, Lesli Linka Glatter, Patrick Harbinson, Claire Danes, Michael Klick, Ron Nyswaner, Gideon Raff, Avi Nir and Ran Telem. SHOWTIME is currently available to subscribers via cable, DBS and telco providers, and as a stand-alone streaming service through Apple®, Roku®, Amazon, Google, Xbox One and Samsung. Consumers can also subscribe to SHOWTIME via Hulu, YouTube TV, Sling TV, DirecTV Now, Sony PlayStation® Vue and Amazon Channels. The network’s authentication service, Showtime Anytime, is available at no additional cost to SHOWTIME customers who subscribe to the network through participating providers. Subscribers can also watch on their computers at www.showtime.com and www.showtimeanytime.com. For more information about HOMELAND, visit SHO.com, follow on Twitter, Instagram and Facebook, and join the conversation using #Homeland. Season Seven Premiere. Carrie and Franny are living with Maggie’s family in DC. Saul and the 200 other federal employees detained after the attempt on the President-elect’s life are still in prison. President Keane’s administration is under scrutiny. Carrie makes a discovery. Wellington protects Keane. O’Keefe continues to broadcast.